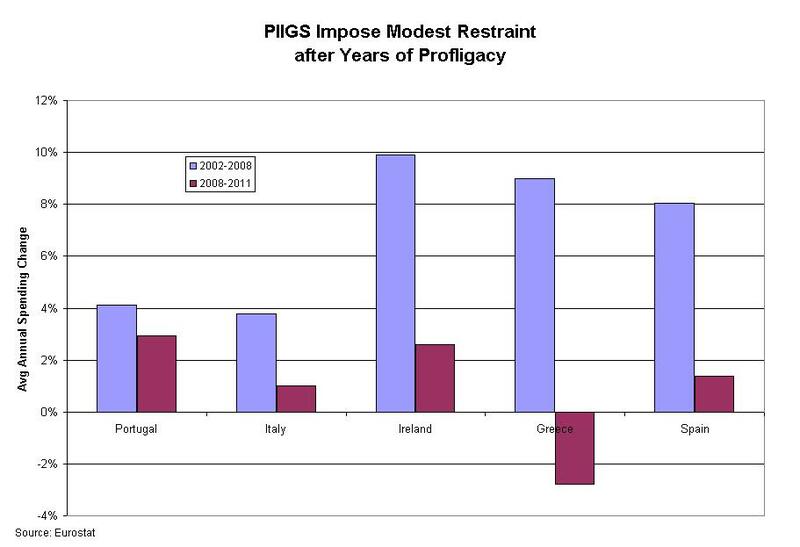 on January 29, 2013 at 5:25 am Question of the Week: Has the European Fiscal Crisis Ended? This a senseless entry. 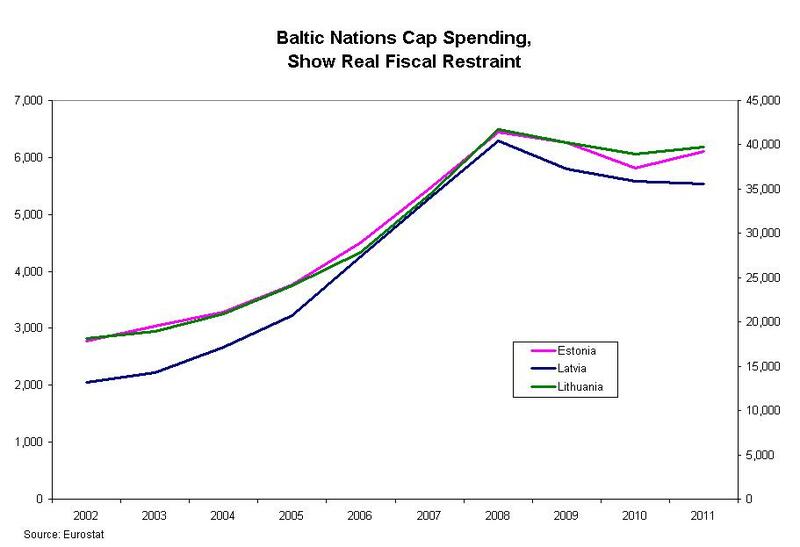 What the data show is that countries are increasing spending slower than ever (this is cutting the projected budget), you argue that the Baltic countries are fine, but they are by far from being close to their pre- crisis levels. Also, by the way, how does your logic works out? Can someone explain me? Please? If we cut the budget, I.e. fire people, you send them to a depressed market to find a job? You deliberately increase the unemployment rate and people’s necessities, demand goes even further down because people don’t have money to spend, because of this, more people gets fired from the private sector, further increasing unemployment and reducing demand even more, all of this deliberately? By the way, Keynesian, as much as idiotic people seem to think otherwise, argue for austerity during growth (when the economy is booming) and deficit spending during crisis. i agree with gavriel…i’m trying to reproduce the graphs for on eurostat but no succes so far.what accounts did you use, if i may ask? Play with the stuff under “Select Data” in the top left hand corner. If Keynes was right, how did we get into a global recession in the 1st place. Shouldn’t all the government spending that W. and other world leaders pushed have prevented a down cycle before it even began? Next time better labelling on the graphs would help. Otherwise a good point. 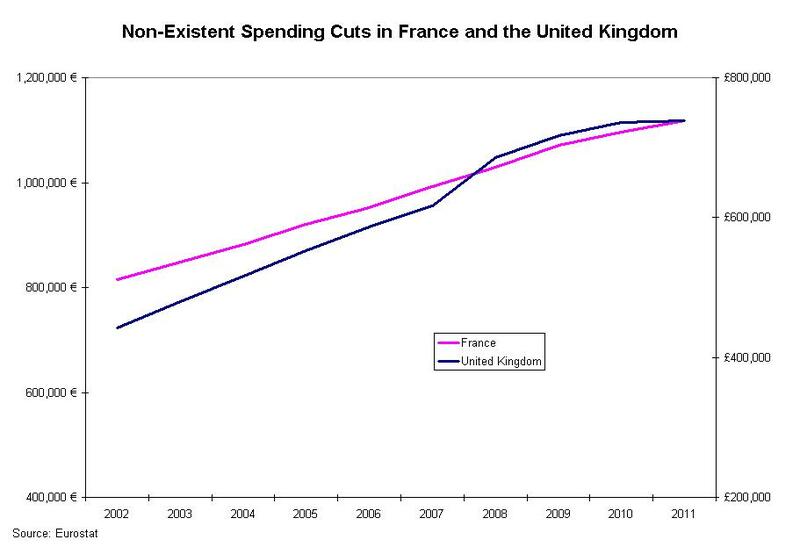 Like the U.S., the Euro zone needed to keep nominal spending on output on a slow steady growth path.